Grammy Award-winning UK rock band Muse has announced they would stream their Austin, TX concert live from the Austin 360 Amphitheatre this Saturday, June 10th at 9:10 pm CST via Facebook Live. During the concert, Muse will allow Facebook viewers to vote on three songs they will perform within their set. 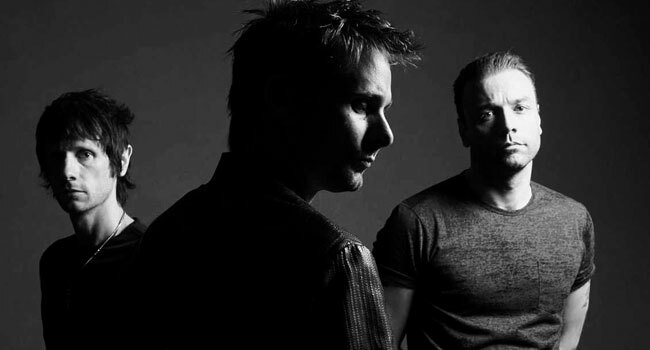 Muse is nearing the halfway point of their summer amphitheater tour with Thirty Seconds to Mars and PVRIS. The tour which kicked off May 20th will wind down September 20th in Salt Lake City, UT. Praise for the tour includes: Tampa Bay Times: “British festival titans Muse, especially, are dazzlingly talented, with statuesque bassist Chris Wolstenholme and rock-steady drummer Dominic Howard meeting the unstoppable cyclone known as Bellamy at every turn.” Billboard: the continuously impressive musicianship of Matt Bellamy, Dominic Howard and Chris Wolstenholme, once again cements Muse’s standing as today’s great arena rock band.” Chattanoogan: “Impressive.” A full list of remaining tour dates can be found below. On May 18th, Muse released their latest single “Dig Down.” The track focuses on themes of unity and survival – fighting for what’s right when your back’s against the wall. “Dig Down” was co-produced by Mike Elizondo and Muse and mixed by Spike Stent. Frontman Matt Bellamy said about the song, “When I was writing this song, I was looking to counteract the current negativity in the world and give inspiration, optimism and hope to people to fight for the causes they believe in; that as individuals we can choose to change the world if we want to.”. Muse will appear at Reading & Leeds in the UK, headlining for the third time.